After graduating from Auburn University and then earning a master’s degree at the University of Alabama at Birmingham, Beth Keplinger spent years teaching math. She is fulfilling a lifetime dream by opening the ladies’ boutique Ryan Reeve in Cahaba Heights. Journal photo by Sarah Kuper. Beth Keplinger is fulfilling a lifetime dream by opening the ladies’ boutique Ryan Reeve in Cahaba Heights. The store will sell casual but sophisticated clothing for women of all ages at varying price points. While Keplinger has a knack for style and a heart for customer service, her dream of owning a boutique goes beyond clothes and shoes. Keplinger’s goal is to create a place reminiscent of hometown shops she visited as a girl growing up in Mountain Brook. “It will be the kind of place for ladies to come and, even if they don’t buy anything, there is always conversation, always laughter and you leave feeling better than you did when you came in,” she said. In opening Ryan Reeve, Keplinger feels she is fulfilling what she was always destined to do, even if it isn’t what she always trained to do. After graduating from Auburn University and then earning a master’s degree at the University of Alabama at Birmingham, Keplinger spent years teaching math. In fact, it was during a school career day that Keplinger became more deter- mined than ever to chase her dream of opening a boutique. But leaving students and families didn’t come easy for her, and she is grateful for the teaching experiences that gave her confidence to venture out on her own. “I thoroughly enjoyed my time teaching. That was the hardest part, leaving what I did love with all my heart, but I knew if I didn’t do it now, my window was closing,” she said. Keplinger said her husband and three daughters are supportive and she is optimistic the community will embrace her. Ryan Reeve is located barely two miles from Keplinger’s childhood home, and she said the memories of growing up in Mountain Brook, near Cahaba Heights, inspire her approach to business. Keplinger names many Over the Mountain shops and proprietors who, in some way, shaped who she is today, including Shoe Corral in Cahaba Heights, Holly Tree gift shop in Crestline and Penny Palmer boutique in Homewood. The store also will carry shoes and accessories, which Keplinger hopes will make Ryan Reeve approachable to anyone. Over time, she expects the store will even further reflect the character of Over the Mountain shoppers. 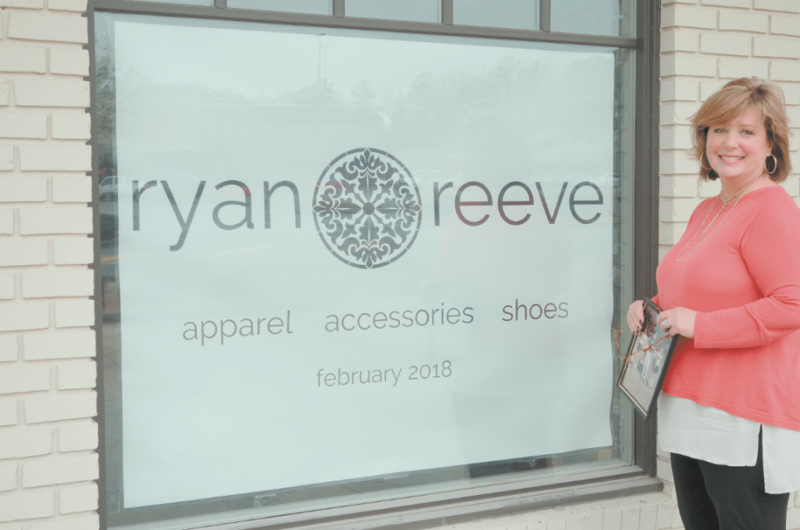 Ultimately, the Mountain Brook High grad hopes Ryan Reeve will become a fixture in the community and have an impact on young women just like the stores that shaped her as a child, a teacher and a mother.